There was plenty of movement in the minors this week, with the biggest news being Rafael Devers seeing time in Lowell. Devers hit a mammoth home run on Monday in his only rehab appearance and the Red Sox activated him on Wednesday. Tony Renda, who scored the winning run against the Yankees on Sunday night, was optioned to Pawtucket. 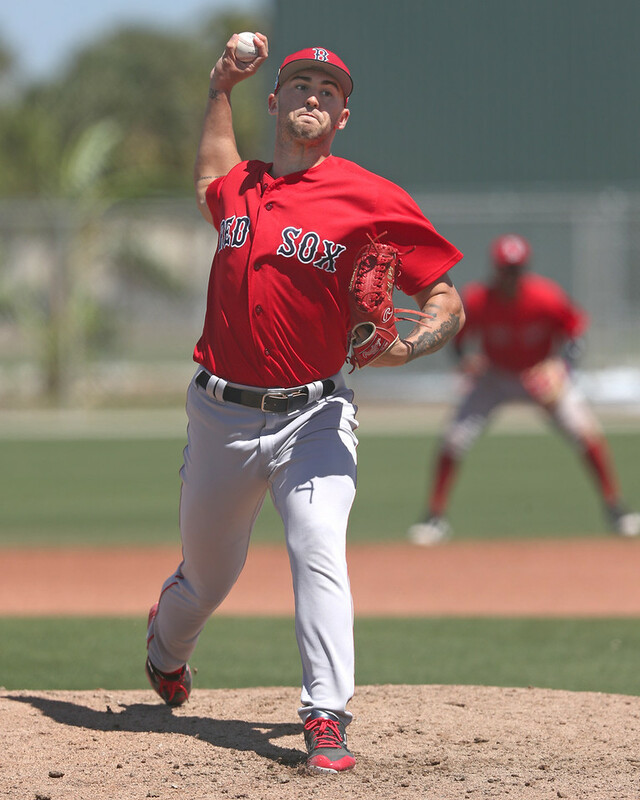 14th-ranked prospect Alex Scherff has been on the disabled list since June 13 with an intercostal strain, but he started a rehab assignment with the GCL Red Sox on Wednesday, throwing two innings of one-run ball. Austin Glorius finished up his rehab assignment and is now back in Salem. He is taking the place of Darwinzon Hernandez, who was placed on the disabled list. Hernandez has been one of the hottest pitchers in the system of late, pitching to a 1.50 ERA over his last 36 innings, striking out 51. Left-hander Rio Gomez, outfielder Tyler Dearden, and infielders Korby Batesole, Devlin Granberg and Xavier LeGrant all were named to the New York-Penn League All-Star team. The game will take place on August 13. Gomez will not be participating in the game as he was promoted to Greenville. He was dominant in Lowell, going 2-0 with a 1.65 ERA over 27 1/3 innings. He walked four and struck out 24. Greenville needed the pitching reinforcements after Hildemaro Requena was placed on the disabled list. Requena was struggling mightily over his last four starts, giving up 18 runs in 23 innings. Zach Schellenger, Boston's sixth-round pick in 2017, was activated by the Drive after missing the beginning of the season with an injury. Schellenger allowed one run and struck out eight over six innings on his rehab stint in the GCL.